I. 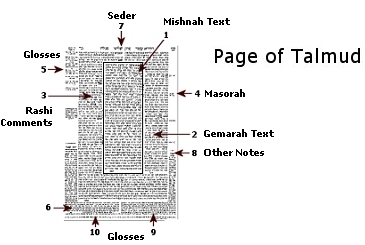 Of or pertaining to the religious writings, beliefs, values, or traditions held in common by Judaism and Christianity. II. Of or pertaining to Judaism and Christianity. III. 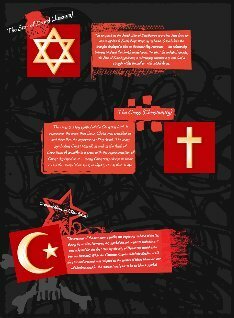 Having historical roots in both Judaism and Christianity. IV. 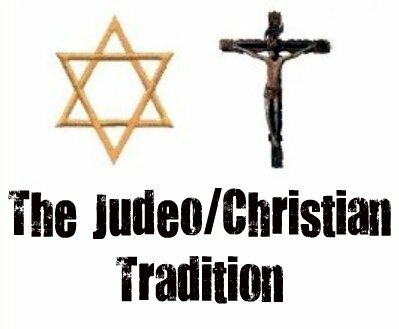 Having origins in both Judaism and Christianity, of or pertaining to Christianity- as, the Judeo-Christian tradition. A short, preliminary amount of background research reveals that, when it comes to the duplicated definitions found in Definitions #4 and #5, it appears that both online reference sites were using a third-party source secured through the appropriate copyright permissions and payments between publishing companies. In conclusion, one can clearly see a general, yet tightly defined, understanding of ‘Judeo/Christian’ as that which MUST include both Jewish and Christian perspectives as being either the exact same. 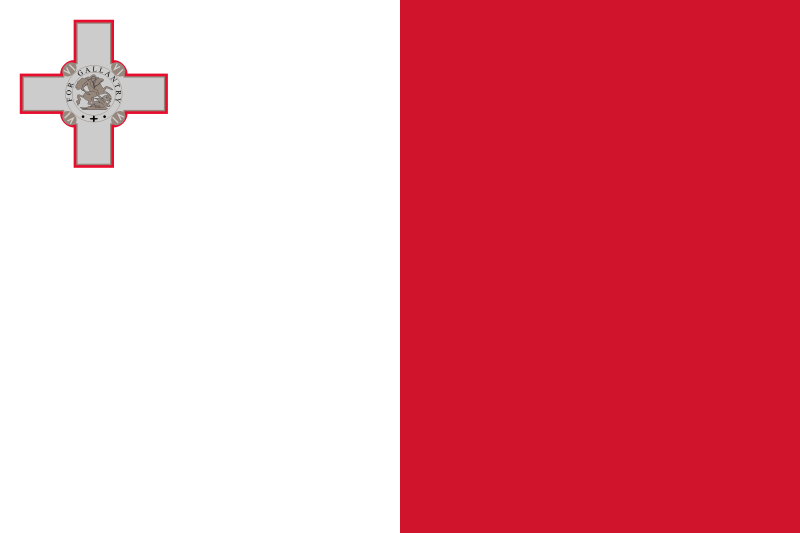 or very similar, in nature to truly be described with this fairly unique and mostly modern concept. 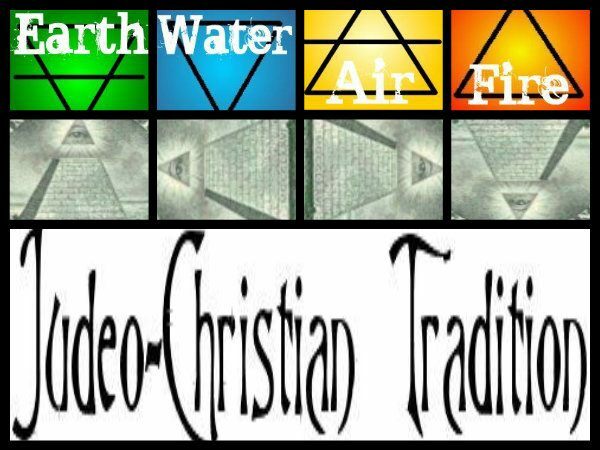 NOTE: Even though this particular term which appears in this post mainly as ‘Judeo/Christian’ (or Judeo-Christian), there are even more ways to spell and/or write this same phrase, such as Judaeo-Christian, Judeo Christian, Judeochristian, or even JudeoChristian. 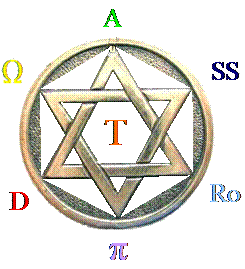 The fairly new and uncommon method of using ‘Judeo/Christian’ has a significant meaning behind in that the slash ‘/’ is meant to symbolically represent the historical fact that both Judaism and Christianity believe in the exact same Archangels of the Four Corners commonly known as Michael, Gabriel, Raphael, and Uriel. The slash ‘/’ being drawn at a perfect ‘Angle’ (/) is meant to evoke the concept of ‘Angel’ as well. In the end, it seems appropriate than the more confrontation and polarizing appearance of the horizontal dash ‘-‘ as in Judeo-Christian. I. The Holy Bible is the most published, read, studied, documented, analyzed, interpreted and discussed book ever known in the history of the world. II. The Holy Bible is currently available in more alphabets, languages, and versions which are spoken and written by more ethnicities and cultures than any other book on earth today. III. The Holy Bible is the the single most influential book underlying the development of nearly all the written languages still used on earth today. IV. 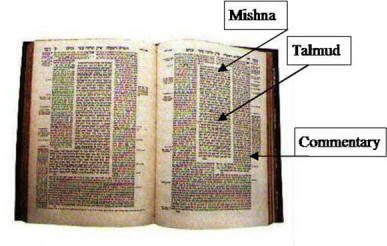 The Holy Bible is the official text of Christianity, the largest religion with the most followers in the entire world. 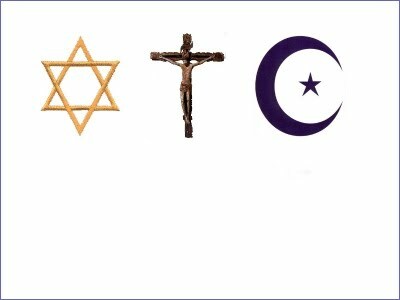 V. The Holy Bible is the cornerstone of monotheism, represented by the three great religions of Judaism, Christianity, and Islam. VI. The Holy Bible is the chronological story of a single family’s relationship with a specific supernatural entity that began in 3760 B.C. with Adam and ended with Joshua ben Joseph (Jesus) in 33 A.D.
VII. The Holy Bible is the most powerful piece of literature in the modern world that has inspired, motivated, and influenced more individuals to think and act in more ways than any other written document in the history of the world. Even if the simple generalizations just mentioned may appear controversial to some readers, each one of them is not only true, but a scientific fact that cannot be denied or dis-proven. In other words, Neoliteralism is willing to make ample use of the Statistical Sciences in order to further its primary agenda, simplicity. Is simplicity an objective goal? Is simplicity biased or politically motivated? The answers to both of those questions depend on the assumptions of what simplicity will do to the fields of Theology and Religious Studies. Put bluntly, there is an infinite number of ways of interpreting Neoliteralism‘s emphasis on simplicity. The non-believer might suspect that it is simply a code word for fundamentalist Christianity intent on quashing complex, sophisticated dissent of traditional Biblical belief systems. On the other hand, the believer may mistake simplicity as either an attempt to water down or dilute Christian truth or an absurd strategy to tear down the Church which has been built upon a continuing accumulation of scholarship compiled and studied throughout the centuries. In other words, religious scholars may well be skeptical of this new contraption, this intellectual tool known as Neoliteralism. All things considered, they have every right to be. Indeed, for most readers this is the first mention of the word Neoliteralism. This original piece of jargon could end up being nothing more than another case of self-promotion. Theologians and Religious Scholars, just like nearly everybody in today’s world, crave attention. They crave readers, listeners, endowments, large offices, and higher salaries. For some, the spread of Christian intellectual truth is also a strong underlying motivation. With that in mind, Neoliteralism must be honest with itself and with others about what the term really means. This includes the inventor of the word and author of this essay. In other words, who is the man behind the curtain pulling the strings of Neoliteralism? Well, for starters, Neoliteralism is obviously a self-interested attempt to be different. Are not all ‘methods’ and ‘outlooks’ found in Theology the same way? Of course they are. Theologians, like all intellectuals, entered the field out of a desire to have their religious ideas read and listened to by others. Assuming the factor of self-interest remains, here are the basic, and specific, agendas underlying Neoliteralism. II. 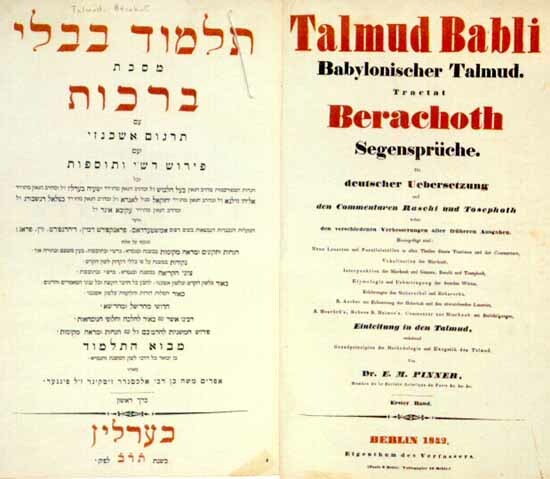 Neoliteralism is Judaic: Athens, Greco-Roman Philosophy, and Hellenism are ignored in favor of Jerusalem, Mysticism, and Judaism. The reason is simple, Joshua (Jesus) was and is a Jew. IV. Neoliteralism is Scientific: Darwin’s Theory of Evolution is losing ground due to scientific dissent among experts. Natural law is concurrent with biological behavior of other mammalian species. V. Neoliteralism is Evangelical: The continued popularity of the Bible, of Christianity, and their combined historical influence clearly indicates supernatural forces that cannot be explained scientifically. The probability of Christianity’s success and the Bible’s best-selling status are statistically impossible. Judeo-Christian theology is a statistically significant reality. VI. 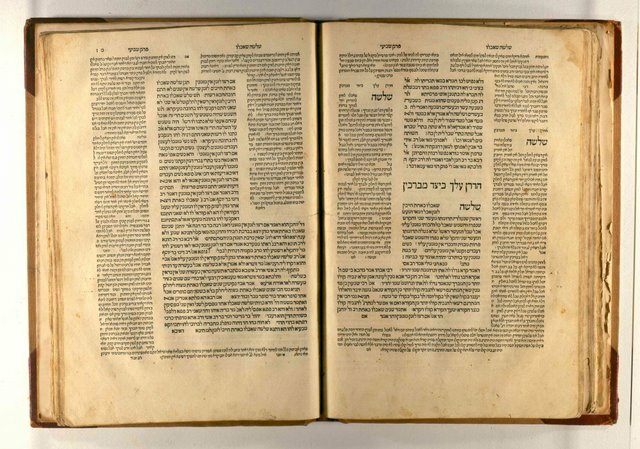 Neoliteralism is Judeo-Christian: Numerous sayings and parables found in the Gospels have exact parallels in the Talmud, the Apocrypha, and in modern Orthodox Judaism. VII. 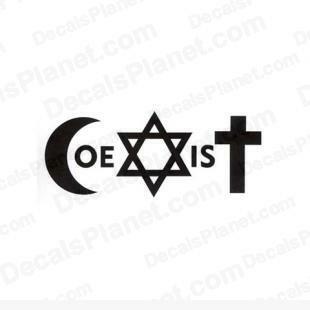 Neoliteralism is Catholic, Judaic, Iconoclastic, Scientific, Evangelical, and Judeo-Christian. Honesty should not condemn a new idea, theory, or paradigm. In short, these particular aspects of Neoliteralism cannot, and should not, disqualify it from being taken seriously. No type of Theology can ever be objective due to the pre-existing preferences of their creator or inventor. Most importantly, the above statements of subjectivity represent a key component in Neoliteralism. How so? By admitting the simple, unspoken truth of Theology and Biblical Studies. Rather than remain in denial, Neoliteralism simply accepts the reality of dualism embedded in the historical differences of Judeo-Christian thought. Sometimes, like a coin with only two sides, objective study of these differences is impossible to achieve. Buddhists, Hindus, Muslims, even nonbelievers and Pagan, are either Catholic or Protestant because, regardless of their personal faith, they will always prefer one over another. This understanding is also true concerning the traditional Christian stereotypes which have, at times, erupted into violent opposition. Historically speaking, the Glorious Revolution of England and the Iconoclasm Rebellion of the Byzantine Empire are perfect examples of ideas armed with swords. Everyone, including every theologian is, in the end, either a Judaizer or a Hellenizer, an Iconophil or an Iconoclast, an Artist or a Scientist, who is Private or Evangelical about being Christian or Judeo-Christian. To summarize, Neoliteralism is brutally honest about its intentions of being barbarically simple about Theology and Biblical Studies. Complexity and sophistication are both acceptable, but there must be balance instead of a one-sided journey into obscurity and obsolescence. What has happened to Europe, especially Western Europe? Some commentators claim, many of them atheists, agnostics and Socialists, that modern Europe, as it is today, is the wave of the future. For them religious belief, the age of faith is over, and Socialism is the future. If that is so, then the future looks a little too Islamic and a lot less Christian than many other Westerners find comfortable. The idea that advanced society is going to slowly turn into some sort of agnostic, vaguely pagan, technological utopia where all the races live together in peace is the wishful thinking of tenured University professors and nothing more. Islam is thriving, in both the Middle East and in continental Europe. Devout Muslims are snatching up work visas, residency permits, and ultimately, new citizenships, in every single country in Europe that is naive enough to give them permanent access. They are not giving up their Muslim heritage or religion and most importantly, they are not intermarrying with the white Europeans at all. In other words, they are not assimilating into the secular, Socialist mainstream of modern Europe in the least. Instead, they are rebelling, rioting, and plotting terrorism against it. Like it or not, they are colonizing Europe in the hopes of a future Islamic take-over. Christianity, at the same time, is not taken seriously by the vast majority of today’s Europeans, and has, since the 1960s, slowly fallen down. Unless there emerges political leaders with the audacity to throw these Muslim foreigners out, they are there to stay, right in the former heart of Christendom, just like the Jews who came before them. This is why there is still a slight danger that a racist backlash against these Muslims, similar to Nazism, may spread across Europe within the next several decades. International elites, in their cosmopolitan exuberance, foresee a secular, New World Order from Tokyo to New York to London to Paris to Berlin to Moscow where everyone can all live happily together with little threat of any religious resurgence, ethnocentrism, or civil disorder. This unlikely future fails to take into account some glaring historical facts that contradict the rosy picture painted by liberal internationalists. First of all, the foreign population of Japan is so small that it barely registers in a completely insular society composed of one race and one culture. Much to the chagrin of the globe-trotting elites, the Japanese have a blatantly racist society that frowns upon any and all interracial marriage including with those of Chinese or Korean descent. This is not about to change anytime soon, mostly because very few Japanese are Christian. Marriages between white and Asian Christians, which is occurring more often in the United States than ever before, has no parallel in actual Asian society whether it be in China, Korea, or Japan. Not only are these societies not letting in European, African, or American immigrants, they are refusing to racially mix with one another to any great extent. There are very few Japanese-Koreans, or Chinese-Vietnamese, or any other ethnic Asian combinations. They are the persecuted exceptions to the rule. These nations, all of them Asian, are as ethnocentric now, in practice, than they were before World War II. The Vietnamese despise the Chinese who loathe the Japanese who hate the Koreans. They do not mingle like literally all of the North, Latin, and South American nations do. This is mainly due to the Latinos common religion called Roman Catholic Christianity. Unfortunately in Asia, Shintoism doesn’t marry Buddhism, Hinduism, or Taoism and therein lies the trouble, both now and in the future. The global elite also conveniently forgets that New York City suffered a horrific terrorist attack less than seven years ago, committed by Muslims on a city that is increasingly populated by Muslims. Who’s to say that there aren’t more attacks to come? Apparently Islamic extremists would rather kill their own people rather than let the ‘Great Satan’ get away with their attempt at creating one of the first multiracial nations in history. This is especially due to the pornographic, hedonistic and low-grade American culture that is exported worldwide to the anger and resentment of many different nations, including most of the Muslim world. The recent bombings in London also show that Islam continues having no qualms about exporting mass terrorism to Europe itself. Many Muslim immigrants have no great desire to fit into the culture of their host countries and it seems that the reverse is also true. In France, Germany, Holland and Spain, the white natives are not seeking to assimilate the Muslims through intermarriage. Great Britain is exceptional in that it is imitating the United States in their policy of tearing down cultural barriers in order to encourage interracial marriages that create multiracial children. Australia is a perfect example of this where more and more white Australians are marrying Asians, Indians, and Latin Americans to create a new, authentically Australian ‘race’ of people that speak English as their national language. The problem with this is that, unlike Australia, with its enthusiastic Asian Christian population, the family unit in Great Britain is breaking down rapidly. For a variety of reasons, Europe is becoming more and more de-Christianized every single day. Multiracial communities need Christianity in order to sustain the family unit. They also need Christianity to help break down the ethnocentrism that discourages interracial marriages and families. African Christians, Asian Christians, and American Christians marry each other in Churches, not mosques. Agnostic, modern Europeans tend not to marry at all and if they do it is certainly not to the largest minority found in continental Europe today, the Muslims. Some observers of the situation, like Pat Buchanan, for example, seem to think that Western Civilization is dying and will be incapable of revitalizing itself. In terms of ‘race’ he may well be right. However, Western Civilization was never really about ‘race’ at all. It was about God and Christianity. How did the blond-haired, blue-eyed Nordic barbarians become some of the most advanced people in the world? They were completely illiterate primitives at the time of Christ, while the dark-skinned, dark-haired, dark-eyed Romans and Jews were reading and writing Greek, Latin and Hebrew and living in the most advanced civilization in the world. The Vikings later prospered, not because of their fair skin and blue eyes, but because of their conversion to Christianity and the culture that it spawned. society of racial groups to a nonracial society of multiracial individuals. It may take a century or two, but Western Civilization is slowly being replaced by what could be called American Civilization, a multiracial, possibly bilingual, mainly Christian phenomenon. Pat Buchanan’s dire predictions and race-baiting theories are a reflection of his own bigotry and not a good indicator of what to expect within the next one to two hundred years. Secular liberalism does not create lasting interracial ties. Monogamous, heterosexual Christian love between a man and a woman does and there is no denying that simple fact of nature. Everyone knows that Europe, especially Northern Europe, is becoming more Socialist politically and economically, and more feminine and homosexual culturally. How could these blond-haired, blue-eyed, staunchly heterosexual, former barbarian giants become so effete so quickly? The answer is the surprising loss of Christian sexual morality that has occurred since the end of World War II. Europe is wrong about a great many things. First, the future is not some elite sect of white, Socialist, sexually degenerate, unmarried citizens ruling over an unruly dark horde of devout African Christian families and monogamous, culturally conservative Muslims. If it is, then that future is doomed to failure within a few short generations. The Christian and Islamic masses would not put up with being ruled by pagans for very long. The white liberal outlook is also destined to extinction because, soon enough, Black or Asian Christians, straight from the third world, will rightly identify their agenda as degenerate perversion that is attempting to destroy the family unit and replace it with state-controlled nurseries filled with children who will never know their fathers at all. They may grow up never knowing their mothers either. Europe’s future utopia without the family is simply a pagan daydream and nothing more. When they had brought them outside, one said, ‘Escape for your life! Do not look behind you, and…escape to the mountains, or you will be swept away.’ The sun had risen over the earth when Lot came to Zoar. Then the LORD rained down on Sodom and Gomorrah brimstone and fire…and He overthrew those cities, and all the valley, and all the inhabitants of the cities. But Lot’s wife, from behind him, looked back and she became a pillar of salt. Western Europe, now a bastion for atheist stupidity and barely disguised ethnocentric Socialism, is Christianity’s present sorrow. Its hope lies in Asia and Africa, especially China, Vietnam, Japan, and India. Rest assured, these stubborn nations who have refused the Christian message more than once, remain quite capable of shedding their pagan traditions and becoming new additions to the Kingdom of God. These nations must be converted, because paganism has no future, it only has a past. Rest assured, if Christianity does not do this, Islam will. Only a member of the international elite, who chats with his fellow agnostics at Starbucks about the brilliance and sophistication of the European single mother, would believe otherwise. Even if you are exiled to the ends of the world, from there the LORD your God will gather you, and from there he will bring you back. The LORD your God will bring you into the land that your ancestors possessed, and you will possess it. He will make you more prosperous and numerous than your ancestors. Since its inception, Israel has been fighting for its very survival against the hostile Muslim nations that surround it. Mostly due to their military expertise, the Jews have so far managed to fend off these numerous attacks. This is to their credit, but it does not solve the problem that they are now facing. Islam, for whatever reason, has flatly refused to accept even the existence of Israel and continues to advocate for its destruction. There is every reason to believe that the next attack upon Israel will not be committed by conventional forces, but by an act of nuclear terrorism. The worst part about this possibility is that Israel might not even know who is responsible. The question is how it would respond to such violence. It seems more than probable that if Israel suffers an assault from an atomic bomb, Mecca, Baghdad, Ammon, Cairo, Beirut and Damascus will end up being destroyed in retaliation. The entire Middle East would go down in flames. This possible nuclear exchange could well trigger a world economic super-depression and cause massive shortages in oil, which would last for years if not longer. World War III would be a distinct possibility. Most Muslims know that any nuclear terrorist attack upon the state of Israel would be suicidal. Sad to say, there are more than a few extremists that are willing to commit that suicide anyway, regardless of the consequences. That is the most terrifying aspect of the situation. which passed between these pieces. Best Case: Palestine thrives. *** Peaceful coexistence with Israel is established through economic growth and self-rule. Better Case: International Intervention. *** Israel and Palestine eventually agree to mutual disarmament, and eventual international government control of the entire region. Worse Case: Nuclear War occurs. *** Israel barely survives nuclear attack. The entire Middle East is partially destroyed. Worst Case: Nuclear Holocaust ensues. *** Israel is rendered unlivable and ceases to exist. 1) New York City: contains the largest Jewish population in the world. 2) Tel-Aviv: contains the 2nd largest Jewish population in the world. 3) Jerusalem: contains the 3rd largest Jewish population in the world. As nearly everybody knows, all three of these targets contain millions of Jews as potential victims. Make no mistake, the fanatical Muslims want to kill as many Jews as they can regardless of the consequences. That is why these three cities are the most in danger of nuclear annihilation. The only way to avoid these potential catastrophes is for Islam and its extremists to come to terms with the existence of Israel. This can and will be done through the elimination of dictatorships still found in many Muslim nations and their replacement with governments that do not spew hatred of the Jews while oppressing their own people. It is no coincidence that the Muslim nations least hostile to Israel and the Jews, namely Pakistan and Turkey, are also democracies. Free society does not mean the end to Islam, but to its renewal. As these nations develop beyond third-world status and rid themselves of dictatorial regimes, their hatred for Jews and Israel will most likely diminish. In the meantime, one must hope that Muslim terrorists never get hold of any weapons of mass destruction. From Hiroshima, Japan to Auschwitz, Poland, the answer must always be ‘never again’. Nothing else is more important. Now Sarah saw the son of Hagar the Egyptian, whom she had borne to Abraham, mocking. Therefore she said to Abraham, ‘Drive out this maiden and her son, for the son of this maiden shall not be a heir with my son Isaac.’ So Abraham rose early in the morning, took bread and a skin of water and gave them to Hagar…and sent her away. She departed and wandered about in the wilderness of Beersheba. When the water in the skin was used up, she left the boy under one of the bushes…for she said, ‘Do not let me see the boy die.’ God then heard the lad Ishmael crying and the Angel of God called out to Hagar from Heaven and said to her, ‘What is the matter with you, Hagar? Do not fear, for God has heard the voice of the lad Ishmael where he is. Arise, lift up the lad and hold him by the hand, for I will make a great nation of him.’ Then God opened her eyes and she saw a well of water; and she went and…gave the lad a drink. God was with the lad and he grew. He lived in the wilderness and became an archer. Islam: Mary was a great, righteous woman worthy of reverence. Christianity: Mary was the Mother of God. One may pray directly to her. Islam: Jesus was a great leader and prophet, a man of God. He was not the Son of God or the Messiah. 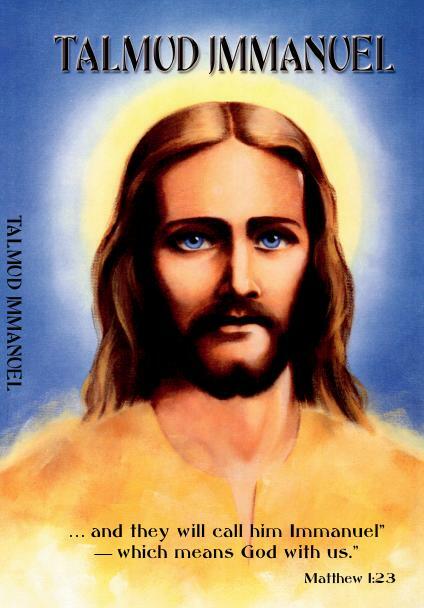 Christianity: Jesus Christ was, and is, the only Son of God, the LORD and Savior of al mankind. One may pray directly to Him. Islam: Mohammad was a prophet inspired by God (Allah) through the archangel Gabriel to write the Koran and found a new religion called Islam. Christianity: Mohammad was not a prophet, but a heretic who rejected Jesus as his LORD and Savior. He also denied the truth of Christ’s resurrection and ascension into Heaven. As for Ishmael, I hereby bless him. I will make him fertile. He shall become the father of twelve prince, and I will make of him a great nation. Throughout the centuries, the Church has found it extremely difficult to convert any true Muslims, especially Arabs, to Christianity. The reverse has also proven true in many cases. Perhaps God meant for some of His subjects to follow a different prophet than Jesus or Moses and that religion is called Islam. One thing is for sure, Muslim fanatics, who believe that they are at war with the West and advocate terrorism against it, are destined to become a thing of the past. Most normal Muslim families want the same thing that Jewish and Christian families desire- to raise their children in peace, to make a good living, and to worship God according to their own traditions. after him to keep the way of the LORD by doing righteousness and justice. Those in the West hoping for a new crusade against the infidel Muslims are probably going to be disappointed. It wouldn’t be much of a fight anyway and would cause irreparable harm to the Christian nations, while leaving the pagan nations of polytheistic India and Communist China untouched. Isn’t it better for Muslims and Christians to work together and compete fairly for the conversion of the pagans that remain in this world? Going to war would simply play into the hand of the devil and his lies that all Islam and Christianity ever managed to accomplish was to create war and bloodshed. ascended like the smoke of a furnace. During the next century or so, the Muslim nations are destined to quit bickering with one another and begin to unite politically, socially, economically, and culturally. This should not worry the Christian West to any great extent as long as they have eschewed violence and warfare as an acceptable means to the end. Islam’s conglomerate of Muslim nations will not be going away, so it’s best to dealwith them now rather than wait for Mohammed’s empire to return. That is inevitable, going to war with them is not. Now Abraham took another wife, whose name was Keturah. She bore to him Zimran and Jokshan and Medan and Midian and Ishbak and Shuah. Now Abraham gave all that he had to Isaac, but to the sons of his concubines, Abraham gave gifts while he was still living, and sent them away from his son Isaac eastward, to the land of the East. Throughout known history one military fact has remained true. He who controls the high seas controls the entire world. Nations such as France, Germany, Italy and Japan have all tried to thwart this history and every one of them failed miserably. France attempted an Empire during the reign of Napoleon Bonaparte and failed at Waterloo. Some claim this was the work of British carrier pigeons trained by the Rothschild family. More recently, Germany, Italy, and Japan also attempted their own private Empires during World War II and ran straight into the British Navy and, even worse, their affiliate, the American Navy. Because of their inherent weakness at the high seas, they were all destined for defeat and international dishonor. During the cold war, control of the high seas was shared between the West, represented by the United States, and the international Communist Empire, represented by the Soviet Union. It was clear, even at the time, that the Americans still had the upper hand. Today, now that Russia is a liberal democracy slowly crawling out from under its Socialist past, that upper hand has grown considerably. Currently, the United States is without a doubt, the sole superpower and undisputed ruler of the high seas. The question is how long they will be able to maintain this dominance. The United States Navy is literally decades ahead of its potential rival, Communist China. Unfortunately, if there is to be a World War III it will be fought with China and the consequences will be disastrous. China: All-out thermonuclear warfare ends in complete devastation of China. United States: Would most likely win the war, but most of the U.S. would be, quite literally, destroyed. China: Somewhat more likely considering China’s past and their current situation. United States: Would become involved as a peacemaker with possible military intervention. China: In time, a Christianized China will inevitably become an Imperial democracy. United States: China and the U.S. live in peace forever, resulting in a global government centuries later. China’s historical position as a ‘gentle giant’ of the East may, in fact, hold true for the future. The reason why is that the next move in this endgame is the fate of Taiwan, where the exiled nobility and royalty of Imperial China now reside. It has remained a free ally of the United States for the past fifty years and seems to be the likeliest hotspot of any future hostilities. It is most probable that the United States will, in fact, go to war with Communist China if they attempt to take this democratic nation by force. Near run-ins have already occurred and it is simply a matter of time before China once again reaches out in frustration. There is also a chance that this may not happen. One can only hope for peace, and given the overall picture, it doesn’t appear that China plans upon committing national suicide anytime soon. Conspiracy theorists are convinced that historians called it a Cold War because they somehow knew that a Hot War with China, or Russia, was destined to happen at some point in the future. 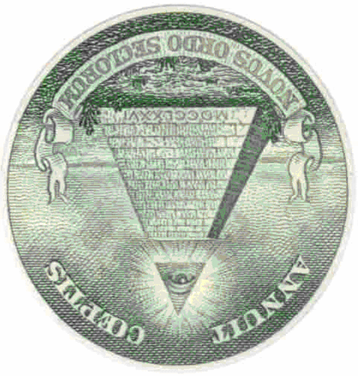 Thankfully, conspiracy theories usually always turn out to be wrong.